Everybody has to do laundry. While it seems like a never-ending task though, unfortunately, the chore of doing laundry is going to be a reality forever. Along with laundry, we are all familiar with the all too common laundry stains. Stains can be quite a hassle, and they never seem to get any easier. Sometimes it seems like it would just be simpler to throw away that favorite shirt than it would be to find a way to get out that stain right in the middle of it. Don’t even think about it though! When there is a will, there is a way. Laundry stains don’t have to take up your life and stress you out more than they should. If you get a laundry stain, the first thing you want to do is put some cold water on it. If you are at dinner, you can use an ice cube from your drink to try and get the stain out while you are there. Once you have soaked your laundry stain and have gotten out as much as you can, there are certain types of stain removers that you can purchase in order to add to the stain removal process. 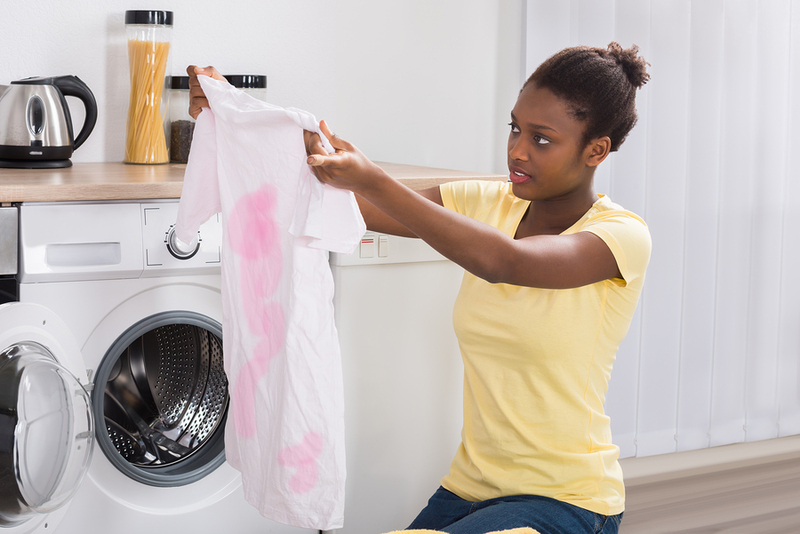 ALWAYS check your laundry stains before you put that clothing item into the dryer because once it has been dried it typically becomes permanent. These are tips for almost any kind of stain, but if you have a specific type of fabric, or a specific type of laundry stain that you are working with, there are websites all across the internet that can tell you exactly how to get out that particular type of stain.